This is food – I swear! By the Hammer of Thor do I have a ton of crap for you! Teenage Mutant Ninja Turtles 2 casting, the trailer for Jem and the Holograms, New Mutants, Star Wars nonsense galore and more! 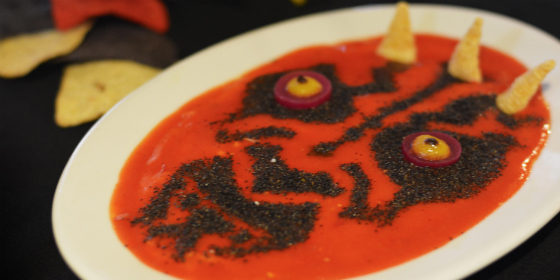 As seen above, you can now eat Darth Maul raw in dip form if you were at Disney’s Star Wars weekend this year. May the fourth be with you indeed! 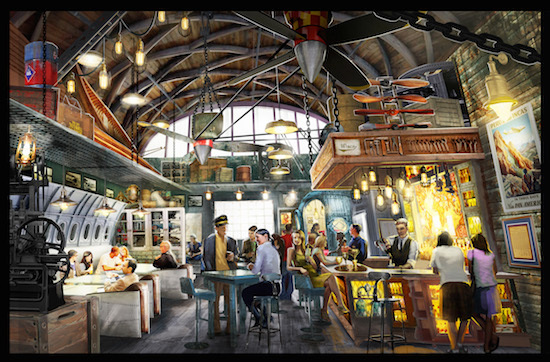 So there’s this scene in Raiders of the Lost Arc during which Indy goes to a bar and meets Marianne and hilarious antics ensue, but instead, Disney is giving us a bar based on the guy that flies Indy around in that movie because… I dunno. This is weird. Rather than a story about the Jem and the Holograms we know, instead, we’re getting a reluctant Hannah Montana reboot for some reason. Simpsons voice actor Harry Shearer is leaving the show. As a reminder, he does a million voices: Mr. Burns, Waylon Smithers, Ned Flanders, Reverend Lovejoy, Kent Brockman, Dr. Hibbert, Lenny Leonard, Principal Skinner, Otto Mann and Rainier Wolfcastle, so they’re kinda screwed. Or, maybe Homer will go on a crazy killing spree. This guy hates Avengers: Age of Ultron. A lot of his points are valid, but he calls the first Avengers movie “a stone-cold classic” while ignoring the fact that both of the flicks have similar problems (lack of character arcs, etc). It’s an interesting argument, but the premise is false. Here’s my take on Age of Ultron – check out Wayland’s review here. Teenage Mutant Ninja Turtles 2 will include Casey Jones and at least Beebop… and you assume where there’s Beebop, there will be Rocksteady. I’ve already forgotten who will play/voice the characters and there’s no way to check… I’m sure the movie will be mediocre at best, but we can at least take this news as a good sign. Here’s my review of the 2014 offering – yeah, it’s not that good. THIS IS A COMIC BOOK WEBSITE, I SWEAR! Fox has announced there’s going to be a New Mutants movie. I can’t find any clues about what the roster will be, but this is a good chance for the X-Men characters to get a clean slate and start over. Well, there you go – 2 comic book items in a super long list of Geek!